Hello, lovely readers! I hope you’re all having a wonderful 2018 so far. It seems like we’ve either had snow or rain all winter long but that’s okay with me–I like to be cozied up inside while I’m writing. And I’ve been writing a lot! I think quite a few of you will be happy to hear that I’m working on the 6th Ransom book–finally! You guys, I missed these characters soooo much. I’ve been re-reading the whole series to prepare for the new book and it’s been so nice to visit with the boys and their ladies again. People always ask me which Ransome brother is my favorite and I’m constantly changing my mind. Right now I have a huge crush on Reed, which isn’t really surprising. Paige is one of my favorite characters from any of my series. Whoever makes Paige happy makes me happy! Anyhow, I’m really liking the way book 6 is turning out so far and I can’t wait to share it with you soon! In the meantime, I’ve been working with an awesome cover artist (Shout out to Paper and Sage Designs!) to give the Three Girls series a facelift. I’ve had the same covers on those books for years now so I thought it would be nice to try something new and fresh. What do you think?? The same cover artist has been helping me come up with a more cohesive look for the Lilac Bay series–which is really helpful since the 3rd book is super close to a publication date! All’s Fair is currently in the editing phase and I should have some release news for you in the next two weeks. Check out the covers for this series below and stay tuned for info on the release! Okay, that’s it for me. Can’t wait to have more news about Lilac Bay and Ransom for you soon. Hope you’re all doing great! I was so excited to release the new Three Girls book and it was really fun to hear how you responded to it. I got tons of feedback and it made me crazy happy to know people care about those characters as much as I do. You’re all awesome! To celebrate the new book I decided to put the first three books in the series on sale. And that’s when things got really nutty! I was so shocked by the response, I can’t even tell you! At one point my little series was in the top twenty on Amazon and #1 on Barnes and Noble. #1! I never thought I would be #1 anywhere! Even better, on Wednesday of that week I found out that I made the USA Today Bestseller list. What?! That’s just crazy talk! In my wildest dreams I wouldn’t have imagined that something like this would ever happen. USA Today! So Insane! Now things have started to get back to normal but I’m still living in a little happy bubble 🙂 I wanted to take a minute to thank you all so very much for your support over the past few years. Your comments on this blog, your emails, your interaction on Facebook, your reviews–all of these things make my job so worth doing. I spend so much time chained to my computer by myself and your interaction makes such a difference to me. And if you’ve taken a moment to tell a friend about one of my books, or to tweet a link, or share something on Facebook, or to write a review, or spent your hard-earned money on one of my stories, please know that you’ve helped me live my dreams of being a full-time writer. I honestly couldn’t do any of this without you guys and I am so, so thankful. New Three Girls Available NOW! It’s here! I’m so excited! I’m also feeling vaguely sick, lol. This book means so much to me and I really hope you guys like it. I’ve gotten so much amazing support from so many awesome readers as I wrote this book. I know a lot of you love Ginny, Jen, and Annie just as much as I do–I hope I did them justice! Okay, so here we go! Link for Amazon right HERE. And Barnes and Noble HERE. I hope you enjoy it! Please let me know what you think, either in the comments or by leaving a review on Amazon. THANK YOU!! I’m planning to have it published to all the major outlets (Kindle, Nook, iTunes, kobo) on Tuesday, January 28th (this is an edit! Sorry for any confusion!). That’s two weeks away! I thought it would be nice to give you a little taste of what to expect while we’re waiting. Enjoy the first chapter! “I know, I know.” Josh had a good point of course. We didn’t get child-free nights all that often. It was tough to get a sitter for two kids on our budget. When it did happen, I was with him in the wanting to enjoy every minute of it department. Not that I didn’t love spending time with my kids. I loved being a mom more than anything else in the world. But with two under six, our life could certainly be exhausting at times. And the prospect of going to an actual movie premiere—a movie in which my best friend was the star—was far more exciting than sticking around at home and watching Cars for the hundredth time. I finished getting dressed while he headed out to the living room to make sure Danny and Maggie hadn’t destroyed the place in the last five minutes. As I was slipping into the heels Josh had requested, my phone rang on the vanity. “Ginny, where are you?” Jen’s voice was frantic. It was my turn to roll my eyes. Josh stuck his head in the doorway. When he saw that I was on the phone, he sighed loudly and pointed at his watch. I nodded and waved him away. I laughed. “You’ve met Jenner a dozen times. He’s a normal person.” Jenner Collins was a major movie star from the Detroit area. When he wasn’t making blockbuster action movies, he ran a small theater company in Detroit. Annie had won a coveted role in one of his plays a few years ago. Jenner was obviously taken by her talent—he’d hired her to work full time at the theater and when his production company began work on a small budget romantic comedy, he cast Annie as his lead despite her lack of experience in film. “Yes, ma’am.” I was joking, but only barely. The truth was, Jen could be totally scary when she was in bossy mode. “Ginny,” Josh called from the doorway, impatient. She giggled and slapped her hands into her noodles. “What’s up, little man?” Danny looked at me with a raised eyebrow and I stifled a sigh. He had learned that move from Annie, I was sure. It was pretty cute, but I had to admit that I was worried by the sarcastic streak she was developing in my five-year-old. “Daddy said you were leaving us all night with her,” he said, jabbing his thumb over his shoulder to point at Beth, my co-worker from the bookstore I managed. “I am leaving you with Beth,” I told him, going over to give her a quick hug in greeting. “I don’t think I have either,” I said, laughing. “Mom,” Danny called loudly. “Maggie is getting her spaghetti all over me!” Maggie squealed loudly, a sure-fire sign that her big brother had smacked her hand. Maggie was crying now, big loud sobs that I would bet money were fake. “Okay.” I felt that familiar tug in my chest; I wanted nothing more than to get out of the house for a night, spend some time with my husband, see my friends. Enjoy wearing my fun red dress and maybe have a few cocktails. But there was another part of me, the part I couldn’t control, that only wanted to swoop my crying, messy baby up in my arms and kiss her face, spaghetti covered and all. “Ariel?” Maggie cried, clapping her hands. I winced as a minuscule drop of sauce flung onto the skirt of my dress. Was it too much to ask that I had one night free of baby messes? “That’s a girl movie,” Danny said, raising his eyebrow again. Josh kissed both children as well, then wrapped an arm around me and pulled me to the kitchen door. “Are you going to be gross and kissy all night?” Danny called from the table, his eyebrow raised once more. I laughed too and let Josh pull me out into the cool spring air. “I’ll notice. I’ll spend the entire night feeling like a messy mummy, instead of like a pretty starlet.” I slid into my seat. He shut my door and walked around the front of the car, giving me the chance to admire him in his suit. Josh was tall and lanky with messy brown curls and green eyes behind his black rimmed glasses. He’d been the cutest guy I’d ever known ever since we were juniors in high school, and he looked particularly good in his black, slim-fitting suit. By the time he had joined me in the car, I was grinning. Josh and I weren’t exactly well off. My job as a manager of a bookstore was fulfilling and made me completely happy, but it didn’t exactly pay me enough for the high life. Josh was a writer for a local magazine. He brought in some extra money doing freelance work, but all together we still end up on a pretty tight budget. Particularly since we’d had our second child and started saving to buy a house. “Where are we staying?” I was starting to feel excited now. I squealed and clapped my hands. Jen’s business partner, Kiki, was the daughter of one of the most successful entrepreneurs in the entire state. He owned multiple properties in the city and surrounding areas, all of them exceedingly luxurious. “Aren’t Mr. Barker’s hotels really expensive though?” I asked, not wanting to put a damper on our excitement but still feeling bad that we were spending so much just on the two of us. “The only person I plan to take advantage of tonight is you,” he said, waggling his eyebrows at me. “You’re so smooth, Josh.” I took his hand, feeling happier than I had in a while. I loved my kids and I loved my job, but there was no denying the fact that taking care of both could be tedious. The idea of an entire night of hanging out with friends and my husband was making me feel giddy. “So was Annie pretty nervous?” he asked, rubbing his fingers over my knuckles. So that’s chapter one. I’m so excited for you guys to read the rest of it! Only two weeks to go now! I hope your 2014 has gotten off to a wonderful start! I’m celebrating the new year with two big pieces of news. First, the next book in the Lovestruck series is available now for Kindle and Nook! 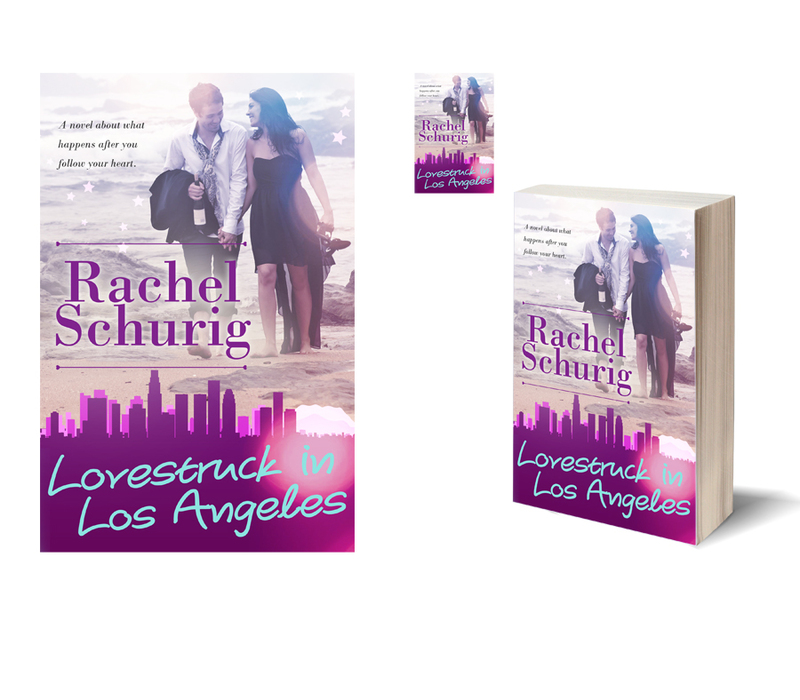 Lovestruck in Los Angeles follows Thomas and Lizzie as they head to sunny Hollywood. It was so much fun to catch up with them both and I really hope you like this next chapter in their story! The second bit of news involves Ginny, Jen, and Annie–and, of course, Danny, Kiki, Josh, Matt, and Nate as well 😉 The fifth book in the Three Girls series is almost ready to go. I’m expecting to have it live on Amazon, Barnes and Noble, and iTunes in the next few weeks. As soon as I have an exact date I’ll be posting it here as well as on my Facebook page and my mailing list. I’m sooo excited for you guys to see what the girls have been up to! I’ll be posting an excerpt next week and the cover art ASAP. Yay! Do you make New Years resolutions? This year I’m going to try my very best to blog more. I tend to get very caught up in my writing (which is good because it means you get my books faster!) and end up neglecting this site. Hopefully I’ll be better in 2014! I’m also going to revisit my “100 New Books” project from last year. It was an EPIC FAIL, lol. I think I managed to read somewhere in the neighborhood of 60 new books. Maybe I’ll actually make it to 100 this year 😉 I’ll write up a post about the books I did manage to read last year–there were some really good ones in there! Well, that’s about it from me. I hope you’re all doing well–and that it’s much warmer where you live. I’m freezing! How are you all enjoying December so far? It’s pretty cold here in Michigan, and getting dark sooo early. It makes me sleepy! 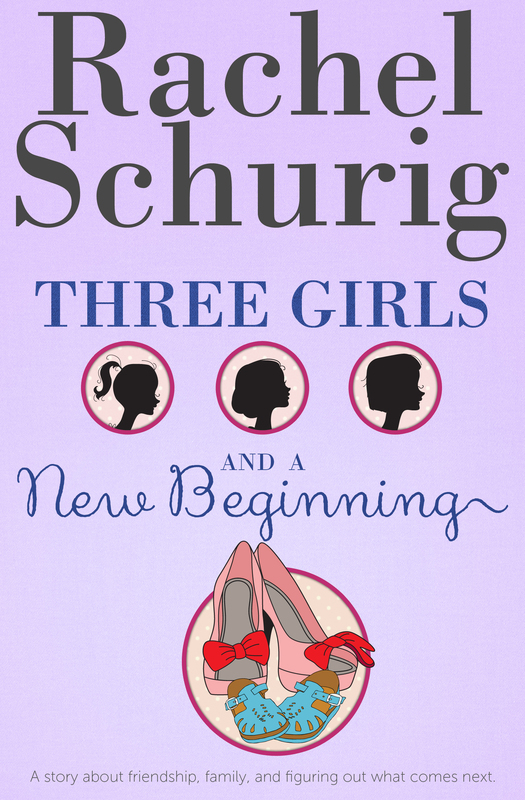 The question I am asked the most often is definitely always, “Will there be more Three Girls books?” The answer is YES! I love these characters and have lots in store for them in the future. The 5th book of the series is actually almost ready for release. It goes to the editor on Monday and I’m hoping to have it published in January. I can’t tell you the title or show you the cover yet, but I can tell you that I’ve cried more writing this book than any other I’ve written. Not because it’s super sad or anything (though it does have it’s moments) but because I really love these characters and we find out so much about them in the new book. I can’t wait to see what you think! The second piece of news: the next Lovestruck book (with Lizzie and Thomas) should be out in just a few weeks! If you haven’t read this series yet, I hope you give it a try. 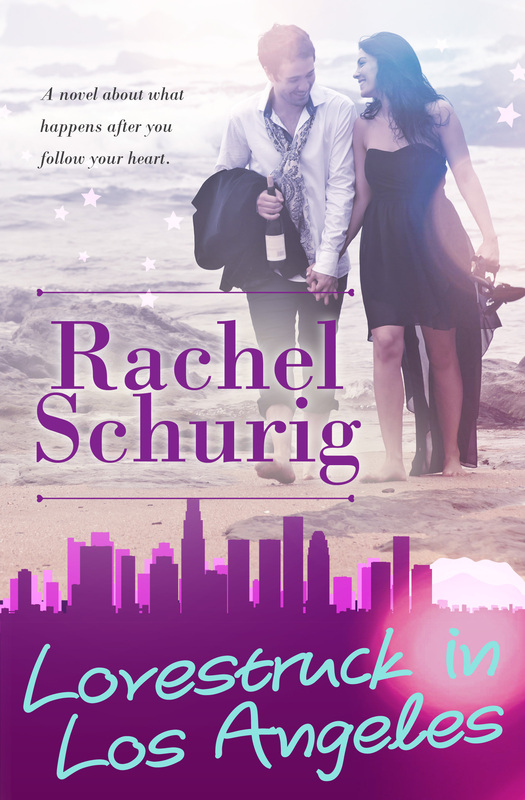 Lovestruck in Los Angeles has a beautiful cover from Scarlett, I’ll post it below. Lovestruck in London is the first book and it’s available here. Here’s the new cover, isn’t it pretty?? Okay, last bit of news: all of my books are enrolled in the Amazon Matchbook program. This means you can now purchase the paperback and get the ebook for a discounted rate. I thought this would be a nice idea for Christmas–you can buy a book for a loved one and get the ebook for yourself for $.99! This is available on all of my books. I have new book news! So, usually when I finish a book I tell you guys about it right away. Once I’ve worked with an editor, proofreader, and formatter, I release it into the wilds of Amazon, pretty much as soon as possible. The timeline of this book has been a little different because, well, this book is a little different. If you’ve read any of my previous books, you know that I write romance novels with a generally upbeat feel. It’s what some people call chick lit, or romantic comedy, and it’s usually the kind of book I most love to read (and write!). But it’s not the only kind of book I like to read. My new book is not chick lit and it’s definitely not romantic comedy. So what is it? I’ve actually been a little nervous to tell you guys about it, because it’s a bit different from my other stuff. This book is what I would call a New Adult romance novel. Have you heard of this genre? I’ve always loved Sarah Dessen’s young adult novels (have you read her? You should read her!) because she tends to tackle emotional issues while still writing great love stories. I think New Adult books are kind of a more grown up version of that concept—emotional issues with great love stories. They focus on people in that transitional stage of life, either in college or just moving into the work force, trying to figure out jobs and school and relationship. In other words, new adults (next week I’m going to post a few reviews of NA books I love, if you’re interested in checking some out). My new book is a little darker than my current stuff and somewhat more intense. It’s still a love story, though, and it definitely has great friendships, which I always love writing about. It’s a bit steamy, too! Because this is a new genre for me, I’m going about the release a little different and trying to line up some promotions. So in the next few weeks I’ll be releasing the title and cover. I’m hoping to have the book ready to release in October. I’m really excited about it and I’m going to do a bunch of giveaways and fun stuff to celebrate. I hope everyone gives the new book a chance but I totally get that it won’t be everyone’s cup of tea. That’s cool! And no fear, because I will ALWAYS write chick lit novels. They are my first literary love and that isn’t about to change! In fact, I am currently working on TWO new chicklit novels. First of all, there’s going to be a new Lovestruck book! A lot of people have asked me what happens to Lizzie and Thomas next—don’t worry, I have BIG plans for them! I spent some time in California this summer to do research (Gorgeous Thomas on the beach, you guys. Picture it). I’m really excited for everyone to read it! I am working hard (like, skipping sleep hard) to get it out this winter. Okay, here’s the BIGGEST news I have: I am working on a new Three Girls book!! I am SO.FREAKIN.EXCITED. I’ve missed writing about Ginny, Annie, and Jen (And Kiki!) and it’s been so fun to revisit them. I get questions about the girls all the time (did you know they make appearances in the Love Story books??) so I know a few of you have missed them too. The new book will come out in January, which I know is a long time to wait. I hope it will be worth it. I think that covers all of it. To recap: new NA Romance coming in October, new Lovestruck book this winter, new Three Girls in January. And lots of giveaways, prizes, etc. to go along with them. If you’re not on my mailing list you can sign up right here to get information on new releases and sales. I do NOT send out a ton of emails, so I won’t be clogging up your inbox, promise.